If you’ve been stewing while listening to your PlayStation 4 friends talking about their exploits in Monster Hunter World, there is now a balm for your Gilead. 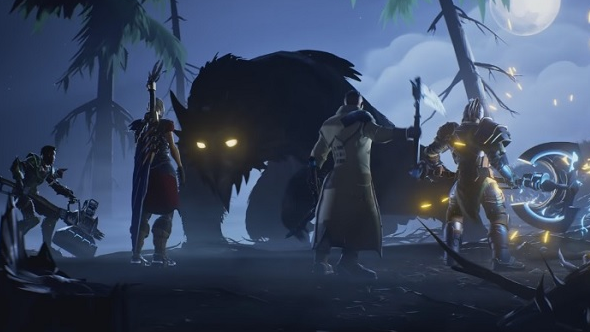 Dauntless, the party-based multiplayer monster hunting MMO, is now open to all comers. Phoenix Labs describes their game as a “co-op action RPG” but let’s be honest: Dauntless is the PC’s first answer to the Monster Hunter phenomenon that has swept Japan (and parts of the west) for more than ten years. If you’re a team kind of person, have a look at our list of the best multiplayer games on the PC. Dauntless casts you as a hunter tasked with tracking down and eliminating legally-distinct behemoths and then using the bits you get from them to create new and better gear, which you use to fight larger and scarier behemoths. If that sounds familiar, just don’t worry about it. It’s fun. Dauntless has an appealing art style and missions take around 15-20 minutes, so the gather-hunt-craft loop is a bit tighter than you generally find in Monster Hunter. To get into the Dauntless open beta, sign up onthe game’s official site. These giant owlbears aren’t going to hunt themselves. It’s free to play.